Paul started is career in the Travel Industry in the early 1980’s in country Victoria, Australia. After 12 months sitting behind a desk as a retail travel consultant, Paul moved to Melbourne to pursue a career in the wholesale travel industry. After joining the New Zealand Tour Operator “Guthrey’s New Zealand Tours” as a Sales Executive looking after the Victorian and Tasmanian Travel agents, he assumed the Role of State Manager after the retirement of the Encumbent. In early 1988 he was headhunted by the leading European Tour Operator Trafalgar Tours to manage a portfolio of agents. When Trafalgar purchased the highly respected youth tour operator “Contiki Holidays” to form “The Travel Corporation” Paul was appointed State Manager for Western Australia in 1989. He moved to Sydney in 1991 to assume the State Manager role for Contiki, before moving to another business in the Corporation “Creative Holidays in 1996. In 2000. Paul returned to Victoria primarily for personal reasons and assumed the Manager role for Trafalgar Tours, in early 2001, he was headhunted by Budget Rent a car to run the National Travel Industry Sales Team. After being caught up in the backwash from 911 and the demise of Ansett Airliines, Paul took a short sabbatical, before joining The Orient Express Travel Group in Melbourne as the GM Sales and Marketing for the Cathay Pacific Holidays Brand which OETG operated under license from Cathay Pacific. 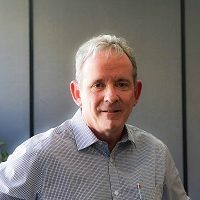 2009 saw Paul move into his own consulting business – doing projects for companies such as APT (Australian Pacific) day tours division, Royal Melbourne Hospital for their travel procurement requirement and others. He commenced contracting for Luxury Escapes in 2012 before moving into a full time role in Commercial Partnerships in 2016. In his spare time, Paul likes hitting a golf ball around and renovating. He is married to Kaye and has 3 children who keep him super busy. Are new distribution channels evolving and old ones being reborn? Will the disruptors be disrupted?